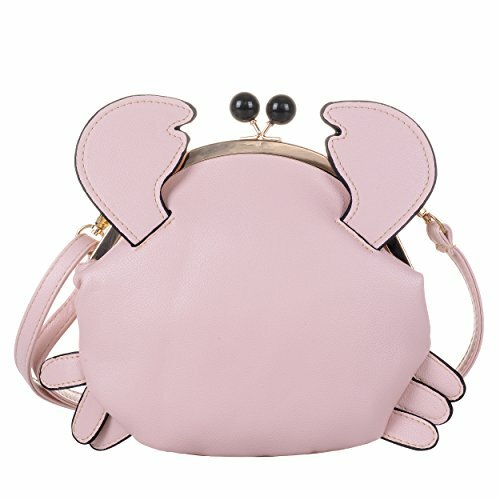 [SIZE INFORMATION] Detachable shoulder strap length. 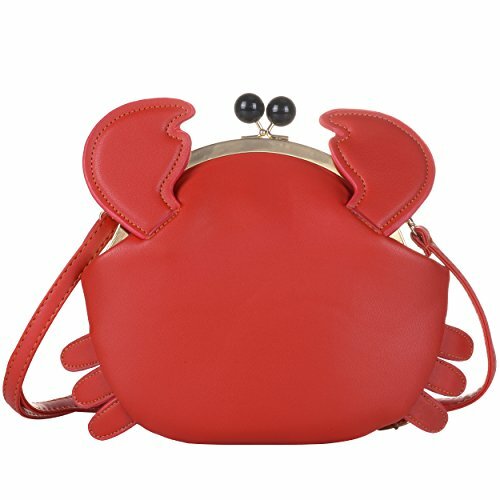 Bag-6.3"L x9.1"H, detachable shoulder strap length:47.2". [MATERIAL&CARE INSTRUCTION] High-grade quality PU fabric, soft, comfortable, vintage, safe, odorless and high-end. High-quality polyester lining is durable and smooth, not easy to wear or tear. 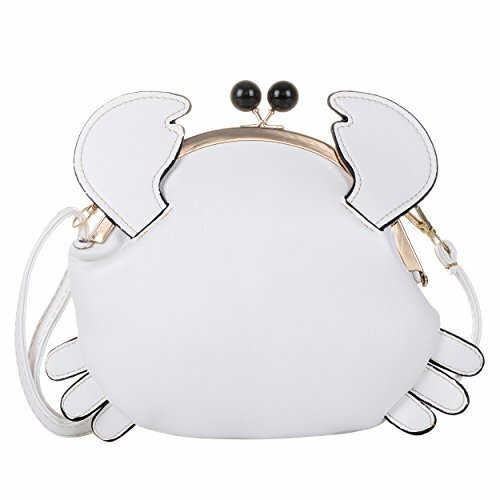 Generous and elegant, and have a removable and adjustable shoulder strap. Keep it in a dry, cool and ventilated place, avoid exposure to chemicals, spikes and hot place, clean it with dry soft cloth when got stains. [ITEM SPECIFICS] Beautiful streamlined stitching outside and fully lined interior with polyester. 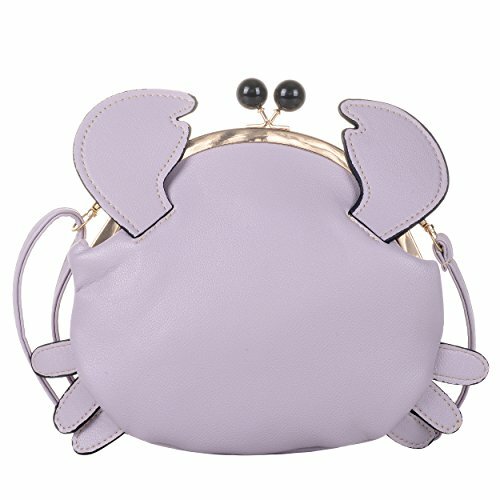 Cute crab design, kiss lock closure . 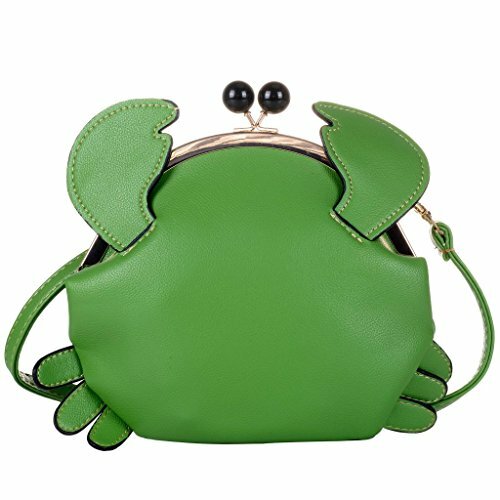 The interior contains a main compartment with one zipped pockets on one side and one open slots on the other side for keys/phone/cards. 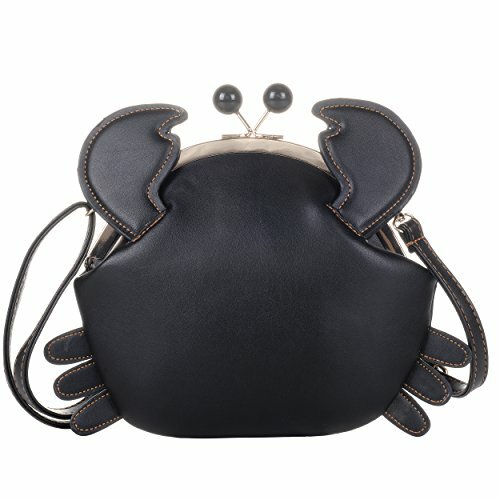 Comes with a detachable shoulder strap, 3 ways to carry: handbag/crossbody/single shoulder bag. Girls can take this to go to party, travel, work, go shopping and playing. It is a best gift to your friend and yourself. [BRAND SPECIFICATION] All QZUnique products are offered under registered trademark and only sold by global best discount. [DIMENSIONS] Free shipping by USPS delivery in 5-10 working days if you choose fulfillment by [Global Best Discount] with [standard shipping], much sooner than the system estimated delivery time.